Mid-morning on a Tuesday normally isn't a prime shopping time. 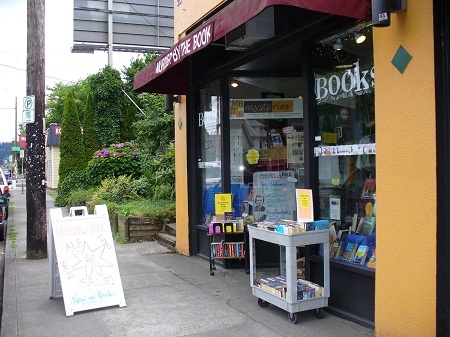 Yet, there's a steady stream of customers dropping by Murder by the Book, a charming bookstore tucked between a lovely old duplex and a store that sells cutlery, T-shirts and gifts on a small eclectic block abutting a residential area in Portland, Oregon. A variety of restaurants, pizza places and boutiques are nearby. The customers are a mix of local residents, neighbors from down the street and out-of-towners. One couple has driven several hours and is prowling the aisles loading up two hand-held baskets, checking off the titles on a list they are holding, occasionally asking for help. Their preference is cozies but the pair is open to other types of novels. It's business as usual for Murder by the Book, which has been serving Portland readers since 1983. "Portland is a big walking town and the Hawthorne area [of Portland] is a destination spot," said store manager Jean May, who has been with Murder by the Book since 1986. "People come to Hawthorne for the restaurants, the coffee shops and the shopping, plus we are near a park. And they discover us. We also have an active business association—many of the stores on Hawthorne are locally owned businesses—and we promote each other. We are all part of a community." 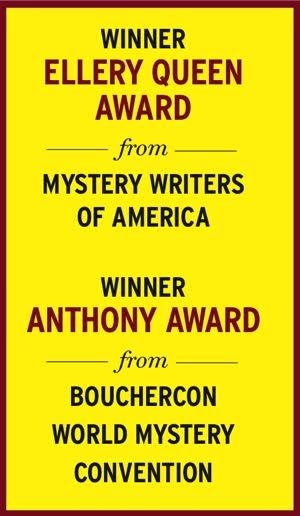 Like other bookstores specializing in mystery fiction, Murder by the Book knows its customers. "It's like being a bartender," said May. "People talk to you and not just about books. The relationship isn't just about selling, it's about trust. Our customers look to us as someone whose opinion they can trust about a book. You keep your customer in mind and suggest books they will want to read. Our customers are not afraid to try new authors. I also will tell our customers that a book isn't for them. They trust us." Naturally, May is a fan of the genre. "Why else would I be here?" she said with a smile. "There's a mystery out there for every kind of reader. I like people to tell me what they like, even if they say they don't read a mystery. I can find a mystery for them." May's daughter, Jordan Foster, inherited her mother's love of the genre and is now a book critic. A presence on the Internet, Facebook and Twitter are standard now for bookstores of all sizes as are a newsletter and reviews of new issues. 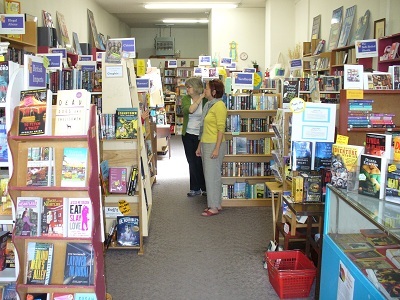 In addition to new hardcovers and paperbacks, the store tries to keep in stock all the novels in a series and carries a selection of used books for sale. Murder by the Book also has found success in other marketing plans. The store will rent hardcovers to readers. Some of those who rent can't afford the price of a hardcover or lack the space for a home library. Jana Flores of Portland is one of the store's frequent renters. She was returning the latest from J.A. Jance, Tana French and Jan Burke and was deciding which other books to rent. "This is a great store and they make great suggestions," Flores said. "I rent the hardcovers and then buy the paperbacks. I ask that all my gifts be gift certificates to Murder by the Book. I don't want anything else." That kind of customer loyalty inspires the store's staff. "Our philosophy is that we are here because we are passionate about books and we enjoy the hand-selling process," said co-owner Barbara Tom. Portland's Murder by the Book was begun in 1983 by Jill Hinckley, a huge Rex Stout fan who named her store after the 1951 Nero Wolfe novel. Hinckley was joined a couple of years later by co-owner Carolyn Lane. When Hinckley retired in 2008, Barbara Tom became a partner. Along with store manager May, the staff includes Nick Slosser, Jackie McQuiston and John Caruso. The store is well organized and arranged by sub-genre with novels listed in chronological order, with new and used side by side. The owners and staff's sense of humor is evident in the signs that divide the various categories. The Butler Did It is for the Golden Age novels; legal thrillers are found in A Reasonable Doubt. Guess which authors are in the Wild Women: Flashy, sassy & a little trashy section. Murder by the Book also hosts a number of book signings. During one of the hottest Augusts a couple of years "a bestselling author" arrived the day the air conditioner broke. It was 105 degrees. No customers came but the author was upbeat and signed stock, said Tom. "We ended up talking for hours and had a great time." Craig Johnson's signing last summer was "packed," said Tom. "It's so easy to sell his books because he is very nice and his books are great." Although Murder by the Book can get cramped during a book signing, the staff uses this to the store's advantage. "The writers are very accommodating," said May. "During signings here, authors get a chance to talk with their readers and really connect. Rather than a formal signing in which an author only has a few minutes to talk, they are able to have an experience with the customers." Murder by the Book's customers come in all ages and the classics sell just as well to the younger readers. "Young women will come in seeking Agatha Christie," said Tom. "The guys want Jim Thompson, Chandler, Hammett and the noir. And after they read those, they want the new authors." "There's a mystery for everyone," said May. "We just try to figure out which is the right mystery for which customer."